JESS STUNS ON STAGE DURING NRL GRAND FINAL! 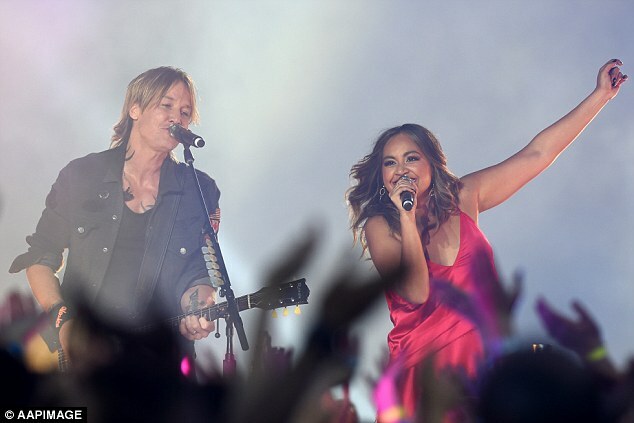 Jessica Mauboy stunned on the NRL grand final stage over the long weekend, performing a rendition of ‘Wake Me Up’ and a fantastic duet with none other than legendary country artist, Keith Urban! Jess opened the pre-match show in a white gown before changing outfits and reappearing minutes later. Sporting a vibrant red dress, Jess was clearly delighted to be on stage performing in front of thousands of rugby league fans. Jess’ duet with country singer Keith Urban was widely viewed as the highlight of the pre-game entertainment.